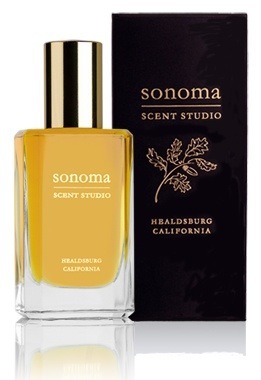 That I really like Sonoma Scent Studio is witnessed by the many reviews here on the blog. I like quite a few things about SSS and the woman behind it, Californian perfumer Laurie Erickson: she is not afraid to use mixed media (naturals and synthetics), she offers various sizes, her perfumes come in extrait concentration, she has an extremely reasonable pricing policy and a variety of her scents just work perfectly for me. Laurie herself seems to be a lovely, generous and kind person who imbues her creations with the dedication, love and soulfulness she feels for her profession. I’m very happy she agreed to answer my questions. A good day starts with… seeing the early morning sun on the hills out the window. I’d never leave the house without… my backpack. I always feel good when… I’m outside in the garden surrounded by plants and oak trees. My favorite thing in the world is… a warm summer day. The next thing I want to buy is… a replacement computer. The place I always come back to is… home. My personal style is… casual. My favorite perfume… is that of the flowers in the garden. When I travel, I… am dreaming (I don’t get to travel). To relax I need… a quiet environment. I like to gift people with… things that are personally meaningful to them. When I have a bad day, I… take a break and look forward to tomorrow. I find my inspiration… in beautiful ingredients. Something I would never want to miss… is spending time with family. My last mistake was… buying ingredients that seemed interesting but haven’t proven to be useful yet. In my fridge there is always… organic fruit juice (current favorite is berry nectar). On my nightstand I keep… a vase of whatever flowers are blooming in the garden that day. The perfect weekend starts with… all orders being done. My role model is… not an actual person, but a set of ideals in my head that provide rules to live by. As far as running a perfumery goes, I have been inspired by Andy Tauer and Mandy Aftel (and many others), who provide different examples of how indie artists can stay true to their ideals while growing their businesses. Something I always want to be asked in questionnaires like this is… what do I love most about what I do: the top two things on the long list are sourcing and working with gorgeous ingredients and interacting with the wonderful people in the fragrance community. Many thanks to Laurie for participating. Laurie’s garden must be amazing, she lives in a landscape that comes very close to paradise in my estimate. To whet your appetite for Sonoma Scent Studio, here are my reviews so far: Nostalgie, Jour Ensoleillé, Tabac Aurea, To Dream, Champagne de Bois, Sienna Musc, Incense Pure and Lieu de Reves. Ae you an SSS fan? What’s your favorite from the line? This entry was posted in Interview, Sonoma Scent Studio and tagged California, Fragrance, Interview, Laurie Erickson, Perfume, Perfumer, Sonoma Scent Studio. Bookmark the permalink. It’s such a pleasure to deal with Laurie – she’s always lovely & tremendously helpful. There is always her own personal touch. So far I only bought Laurie’s parfumes as present to my friends living in the US – it’s hightime to order a sample pack for myself ! Your lucky American friends! I hope the international shipping issue will have resolved itself by now (I’m not sure what the current status is and I hope Laurie will let us know), but I agree, there are many you would like, I’m sure of it! So great that Laurie answered your questionnaire! She is one of my favourite private perfumers (I love many of her perfumes). I love that her perfumes are so wearable and still unique. I’m happy too that she participated! I have quite a few loves in the SSS line. Laurie makes some amazing perfumes that manage to last on me. For that reason alone I think the woman is a goddess. I must admit I am wondering what the ingredients were that she bought and considers a mistake because she can’t find a use for them. I have never had the pleasure of trying one of her scents. Must remedy that ASAP. Lovely interview. Indeed , I must remedy that. Sorry, my brain is like a sieve. Great questions! Laurie is my favorite perfumer, I have collected several of her gorgeous creations! She is very kind, generous, and helpful, in the little bit of communication that I have exchanged with her. Jour Ensolielle, in particular, is my go-to scent. I wear it for comfort, I reach for it when I will be around a lot of people (a crowd pleaser! ), and I spray with abandon when I want to enhance a joyful mood. I have never gotten so many compliments on a scent – I’ve been stopped in public and asked what I’m wearing. My kids associate JE with ‘Mommy’s smell.’ It’s as close to a signature scent as I’ve had in years. I also own and adore: Lieu de Reves, Nostalgie, Champagne de Bois, Wood Violet, Tabac Aurea, Winter Woods, and Sienna Musk. All amazing and unique perfumes. Ah, you sure smell fantastic, Annina! I enjoy several SSS perfumes, esp Incense Pure, Winter Woods, Bois de Champagne, Tabac Aurea and lately, Jour Ensolielle – head over heels for it! Laurie’s blog is a joy to read, although I can’t remember if I read it as ringthing or rosarita, having two online names gets confusing. She illustrates her blog with the most gorgeous photos of, as you said, Birgit, the paradise that surrounds her. I especially appreciate her pricing! Thanks for featuring this gifted perfumer. I like Laurie’s blog very much too, it makes her working process so accessible and allows us a glimpse into her work and life. Laurie is my favorite perfumer too!!! Champagne de bois, is my fav perfume!!!!!!!! I want to try her new sandalwood, but I fear that I will love it, and it is a little steep for my budget at this time. Great! Laurie has many devoted fans and deservedly so. I agree with you all that Laurie is an amazing Perfumer and a lovely gracious woman. Her fragrances stand out, with her signature touch of beauty inspired by nature. I keep her samples in a special box labeled SSS, all other samples are relegated to their group of notes. My favorites are Ambre Noir, Winter Woods, and Fireside Intense. Brava Laurie! Ditto! Those 3 unique fragrances are my most favourite… to the point that they helped me towards self awareness. Wow! Perfume can have that power, I’m sure. Their own box – that is commitment indeed. Can you believe I never tried Ambre Noir? It should have been the first one (I’m a great amber lover). I will just tell you one thing: it helped me finish my PhD thesis… every time I was exhausted (physically and mentally) I sought inspiration and energy there! I’m very glad you found it there, Alexandra! Thanks for featuring Laurie in your series, Birgit. She is such a sweetheart – so conscientious in every regard, especially towards her customers. My favorite perfumes from her all have what I think of as Laurie’s signature, yet are all so unique from one another: Jour Ensoleille, Voile de Violette, Incense Pure and Champagne de Bois. Your four favorites perfectly capture the breadth of Laurie’s work. I’m enjoying this series so much. Laurie has made the SSS line so perfumista-friendly. It’s great to know that interacting with the fragrance community is one of her favourite things. I’d love to have a walk around Laurie’s garden. It obviously means a lot to her. SSS is one of the most Perfumista-friendly lines available, small sizes, great pricing, she really makes life easier for us. That garden must be gorgeous! Glad to hear you are a fan too, V.
SSS is a great introduction to indie perfume. Thank you so much for including me in your interview series, Birgit! Your sentence completion format is fun and innovative! And I am really touched by the responses. 🙂 The people in our fragrance community make this job very special. It’s such a privilege to be able to engage this way with people through my products and my blog. As for the ingredients question, sometimes I am too optimistic and get something that is either too far out there or too far out of my comfort zone. I try to be good and not buy until I’ve put it in a formula, but sometimes I jump the gun. I’ve gotten better about it over the years though. You know how when you buy perfume you try to make yourself go through a sample first to be sure you want a bottle? I try to make sure I’ve put an ingredient into a formula before I buy a larger amount. It’s the same idea, but it’s easy to goof now and then out of excitement (I’m sure people can relate, lol). Thank you for all your work, Laurie. We really appreciate it. Thank you, Sujaan. Tabac Aurea is among my faves too! Another fantastic addition to the series! Thank you to Laurie for letting us get to know her better through her gracious and thoughtful responses! And thank you for reaching out to a truly wonderful person and amazing perfumer. Thanks, Daisy! I’m glad Laurie agreed to take part. 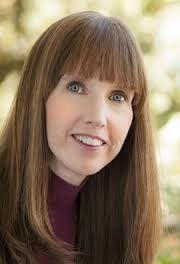 Thank you for featuring Laurie Erickson. SSS is one of my favorite lines. I love Incense Pure, To Dream, Ambre Noir, Voile de Violette, Cameo, and Jour Ensolielle and I am just dying to try Amber Incense whin it is ready. In fact, I really need to add to my collection a bit as some of my precious samples are getting terribly low. It is really impossible to pick just one among Laurie’s offerings, isn’t it? Have fun replenshing your stash, Liz! It is nice to get to know one of my very favorite perfumers a little better! Thank you, Birgit and Laurie! I am hard pressed to pick a favorite SSS scent. Champagne de Bois, Incense Pure, SIenna Musk are all contenders! Champagne de Bois is very high up on my SSS love list as well.